Silly Tilly is a sweet, and yes silly, mole who invites her friends over for Thanksgiving dinner. She inadvertently a) forgets to make the dinner; and b) gives them recipes instead of invitations. Thinking they’ve been invited to a potluck, the friends converge on Tilly’s home with acorn jam, pine nut cake, cranberry stew, oat bran pudding, and a sweet potato pie. Vegetarian and vegan kids will love when the turkey arrives late, exclaiming, “Don’t you know you can’t have Thanksgiving without Mr. Turkey?” and proceeds to take a seat at the table. The tale concludes with the friends popping the corn that the turkey has brought. 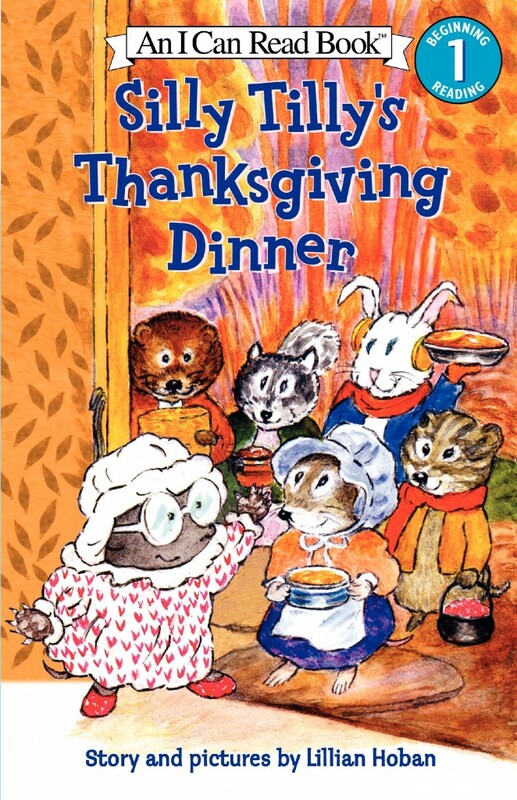 This early reader book is a great pick for a vegetarian Thanksgiving.